We partied with Rachel and the rest of her friends at her private party. It was a Melvindale graduation party that was held at the city Recreation Center. It was also that time of the year again, so this also served as a family reunion. Everyone has been to these type of functions before. It can either be mostly family, mostly friends, or a mix of both. Sometimes, there will be two separate parties (one for the family, and one for the friends). Regardless, this is still a celebration and you have to have a great time. So what do you do to make sure everyone enjoys themselves? To answer that question, we need to get guests up and out of their seats immediately. The long they sit down, the less inclined they are to dance. The best way to encourage audience participation is with games and activities. These type of mixers can also be done when we disc jockey wedding receptions, but they typically are not needed there. To start things off, we broke the ice with a quick game we did. Minutes later we had 40 people ready to get the party started. From there we kept them entertained with a variety of contests. All of this was discussed before the party with Rachel. So being a good sport, we got her involved. It really made for a good photo opportunity with everyone surrounding her on the dance floor. After that we were finally taking popular song requests and mixing songs. Rachel had a specific request list that she wanted us to stick with. It was easy because, put down all her Must Play songs weeks before the event into her very own online event planner. Graduation parties tend to be less formal than other events, so the music really varied. At this point the night was over and it was time to say goodbye. The family really enjoyed how we went above and beyond. Remember what I said earlier, so many graduation parties are typical. Our main goal is to give you a custom experience. Thanks again for having us come out and rock your grad party, it was a blast! 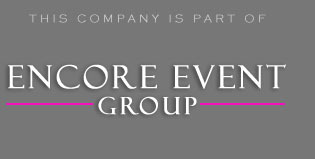 If you are planning an graduation celebration, you might need help with Encore DJ services. To improve your event experience, we also offer color changing photo booths and room uplighting. These are the perfect additions to any large or small event. Need more pricing on our bundled services? Click your link below and get started with planning your perfect party today! We would love to share with your our common referral list from previous clients.